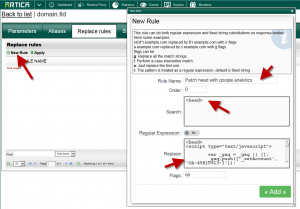 Replace rules allows the reverse proxy to replace content on-the-fly. 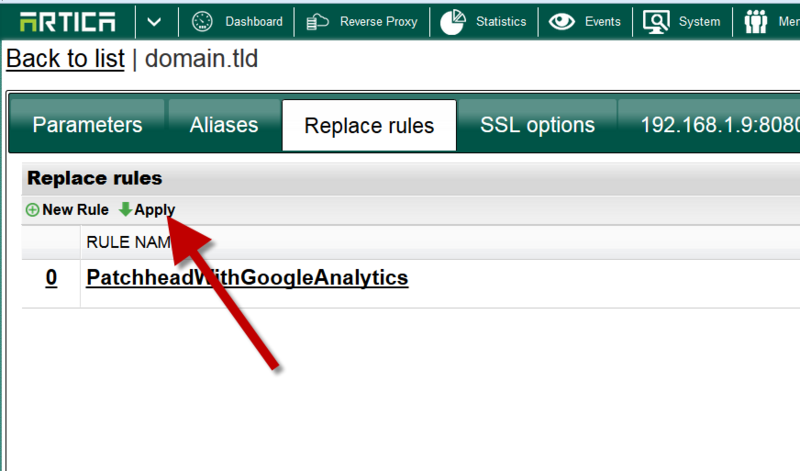 This is a main feature that able to patch/fix some strings without need to change content on websites. Give the name of your rule. On the search field, give the pattern you want to search in the content page. 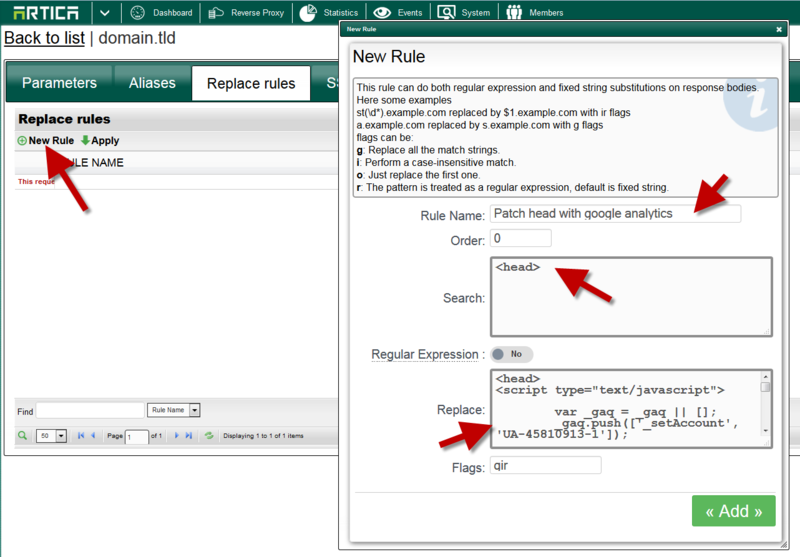 You can use regular expression if you turn on the “Regular expression” checkbox. Give the content that will be replaced when found the search expression. Click on Apply to save changes on production.